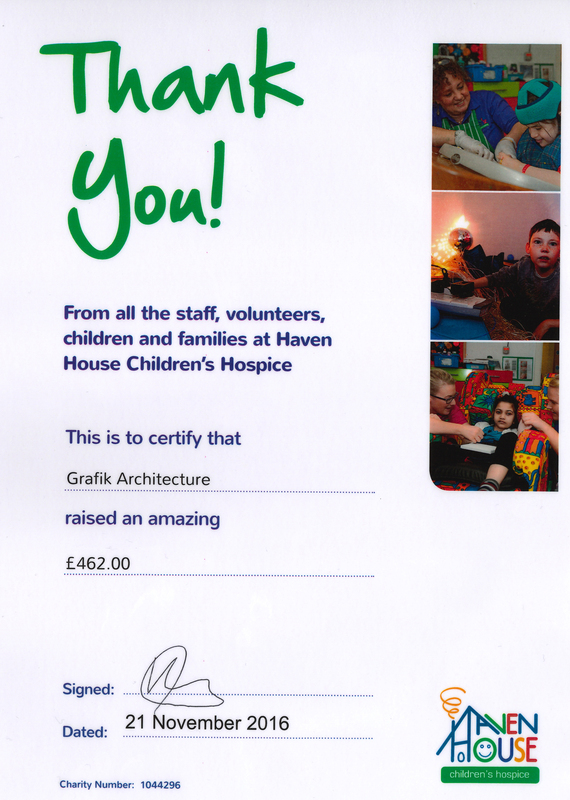 Well done to all the staff for ‘Dressing Down’ on Friday’s and raising an amazing £462.00 for Haven House Hospice. Haven House has supported over 650 families, looking after children and young people aged from birth to 19 years old who have life-limiting or life-threatening conditions. In the hospice children benefit from play activities as well as day and overnight stays. Through the Holistic Care Centre children can access a range of therapies, including music therapy, physiotherapy and therapeutic yoga. Families can also take advantage of support groups for mums and dads and siblings (Buddies) as well as complementary therapies designed to reduce stress and anxiety. Their mission is to provide the highest quality palliative and holistic care services to babies, children and young people and their families in local communities. Working in partnership they deliver these services whenever and wherever the families need them.